One of my favorite parts of travel is the food. I love to seek out unique and local food wherever we go. 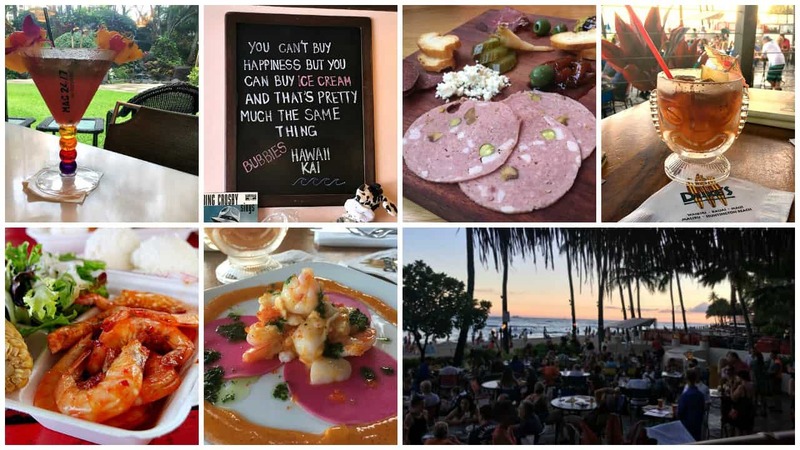 Thankfully my husband also loves food and on our recent trip to Oahu we ate very well. 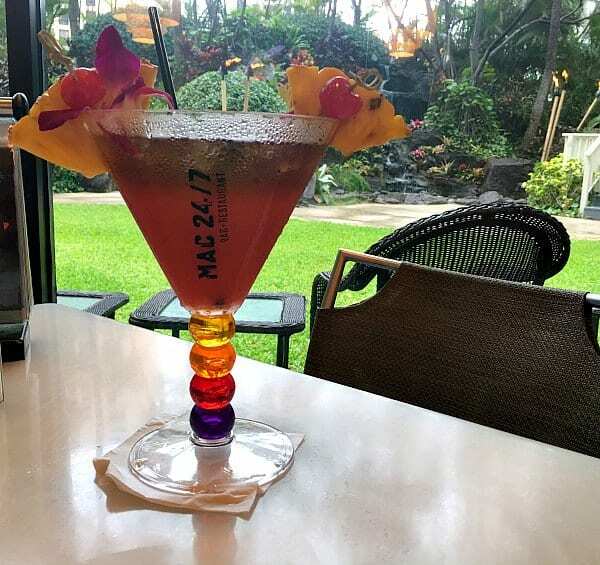 My husband and I were hosted by MAC 24/7; 12th Avenue Grill and Duke's Waikiki and provided complimentary meals. But all opinions are definitely our own! MAC 24/7: I really wasn't sure what to expect from MAC 24/7. The ambience reminded me of a diner and the menu, with items like mac and cheese, pancakes and meat loaf, seemed to also lean that way. I couldn't have been more wrong. While MAC is open 24/7 like a diner, the food here is far beyond your normal dine fare. We ate so much incredible food at MAC. The executive chef, James Aptakin, came to our table to walk us through the menu. I was glad he did because the food he suggested was amazing. I had the Korean short ribs. I had no idea what Korean short ribs were but the chef recommend them. I'm glad he did! They were amazing. My husband at the moonfish and it had been bought fresh that day. 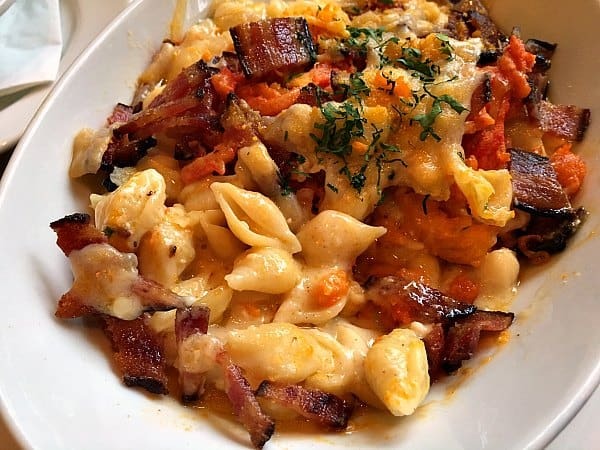 You won't go wrong with anything on the menu at MAC 24/7. 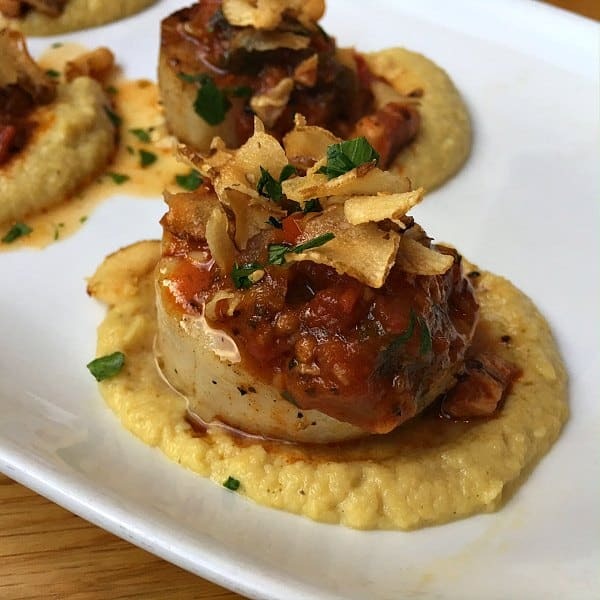 Not only is the food delicious, but it's reasonably priced and is served in generous portions. North Shore Shrimp Trucks: The north shore of Oahu is infamous for it's shrimp trucks. We took a day to drive around the north shore and had to stop and eat. 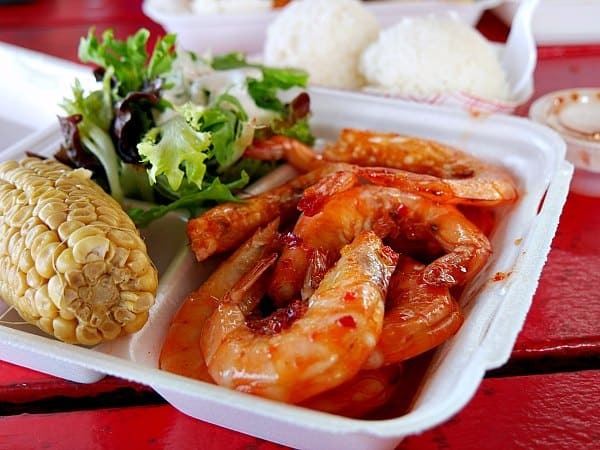 We tried Romy's Kahuki Prawns and Shrimp on Kam Highway. Depending on the day and time of day, the wait for food can be over an hour so plan ahead and be prepared to wait. But it's definitely worth the wait! Romy's had covered picnic tables to eat on, but it is definitely very casual. 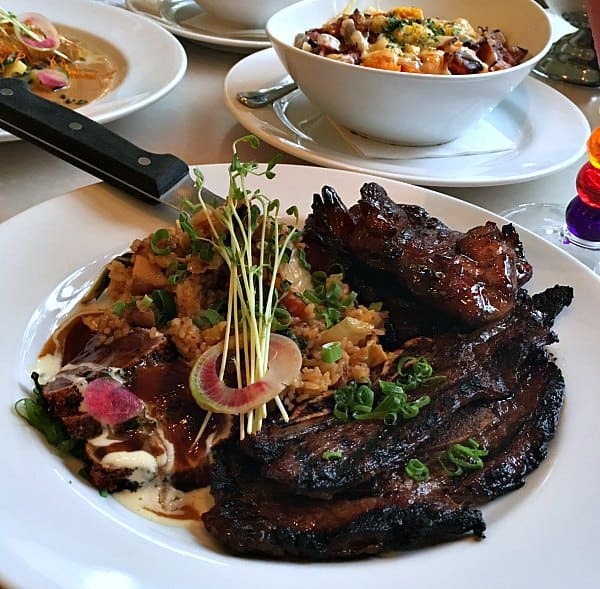 Dukes' Waikkiki: Located in the Outrigger Hotel, Duke's Waikiki is the quintessential Waikiki restaurant. 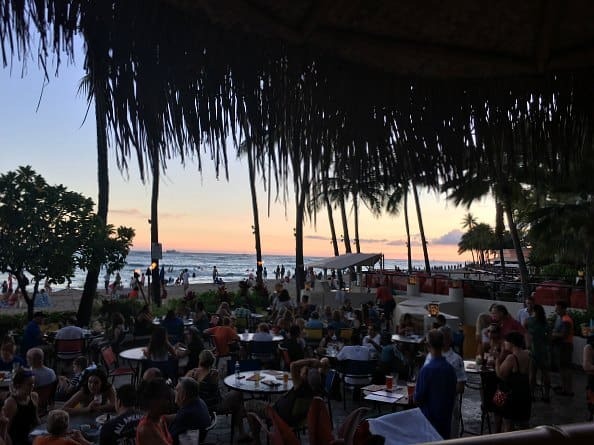 Duke's has both a casual beach side restaurant where you can literally walk from the beach and a more formal restaurant. We ate in the restaurant but sat right near the beach. 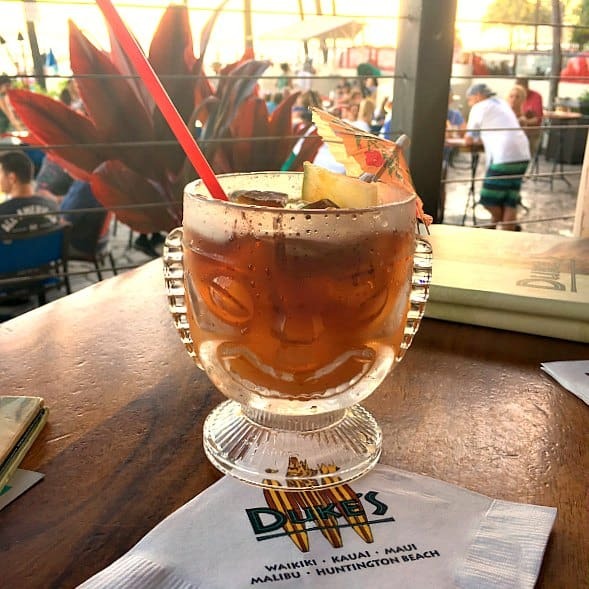 Duke's is famous for three amazing food items: their salad bar, Mai Tai's, and Hula Pie. We tried all three and they were amazing. Duke's menu is a classic Hawaiian menu with local fish (try the moonfish!) and classic steaks. 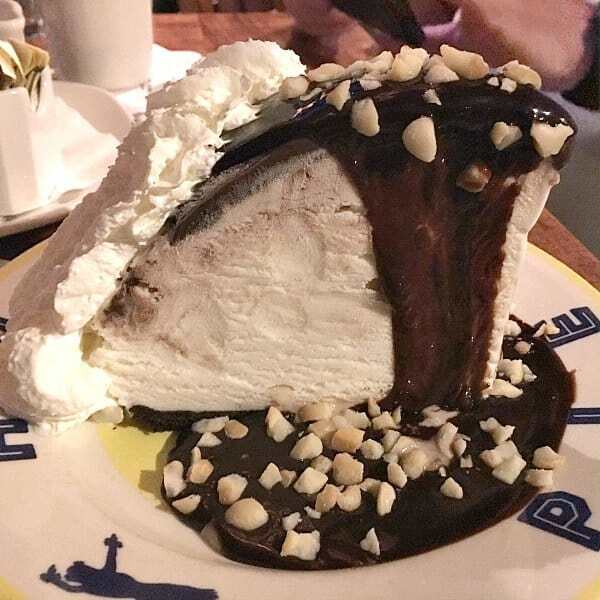 Just make sure to leave room for the Hula Pie! It's an ice cream dessert that is amazing. Ahi Poke: When my friend told me that I had to go to the grocery store and get Ahi poke to eat, I was a little skeptical. Well, we couldn't stay away after the first day! 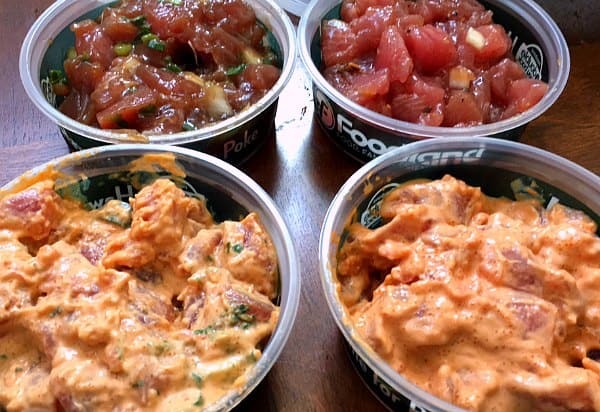 Poke is basically a raw fish salad that is usually made with fresh Ahi tuna. One of our favorite poke was made with mussels. The tuna is mixed with different sauces like soy or a spicy mayo. There is usually an entire counter dedicated to poke in grocery stores so it's easy to find. 12th Avenue Grill: 12th Avenue Grill is an absolute must eat restaurant. The grill is not located in Waikiki, but it's worth driving or taking a taxi for dinner. The food here was absolutely incredible. 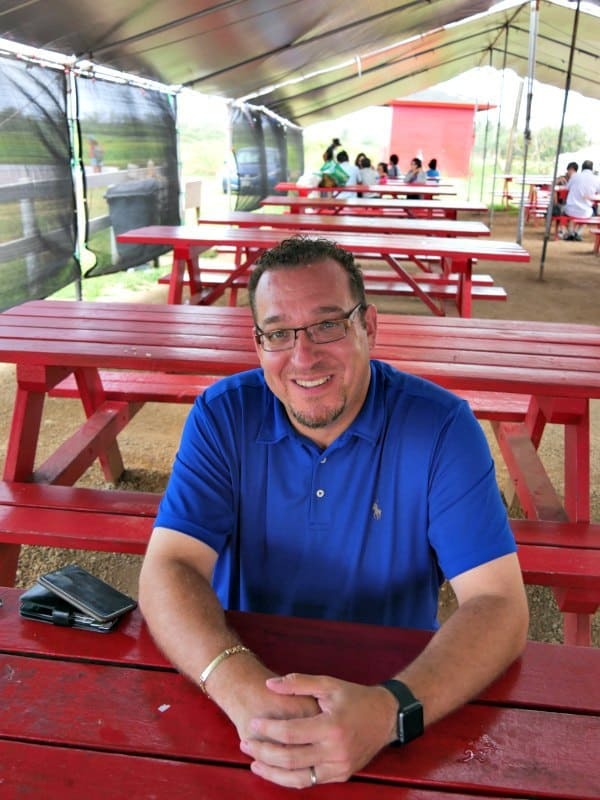 The grill focuses on using local food and food from their own garden. We enjoyed all of our food at the grill, but the charcuterie tray was amazing. 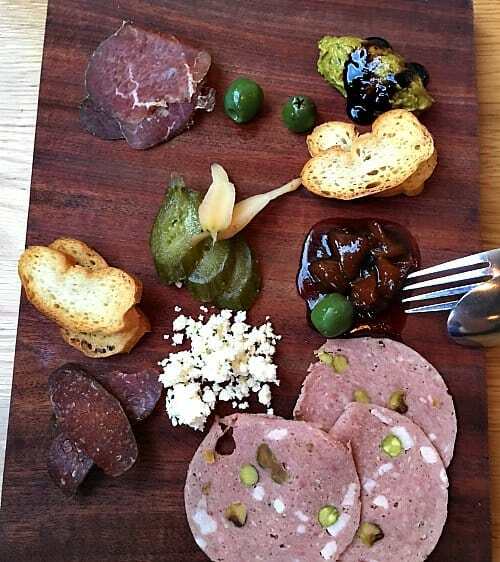 The tray features cheese, olives, and cured meats that have all been made at the grill. I've never had olives that were so delicious. This is definitely a place for a romantic dinner for foodies. Bubbie's Mochi: I've had mochi at Japanese restaurants but I've never had fresh mochi like Bubbie's and never in so many flavors. Bubbie's has mochi in flavors like passion fruit, guava, pistachio, and tiramisu and about 16 more. It's crazy good! 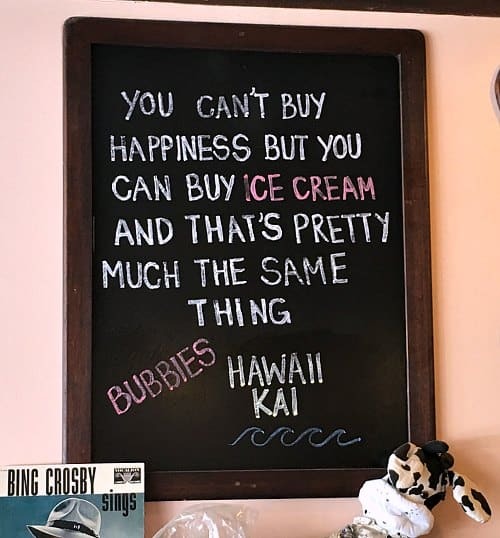 You can find Bubbie's in most grocery stores, but it's best fresh from the ice cream shop. 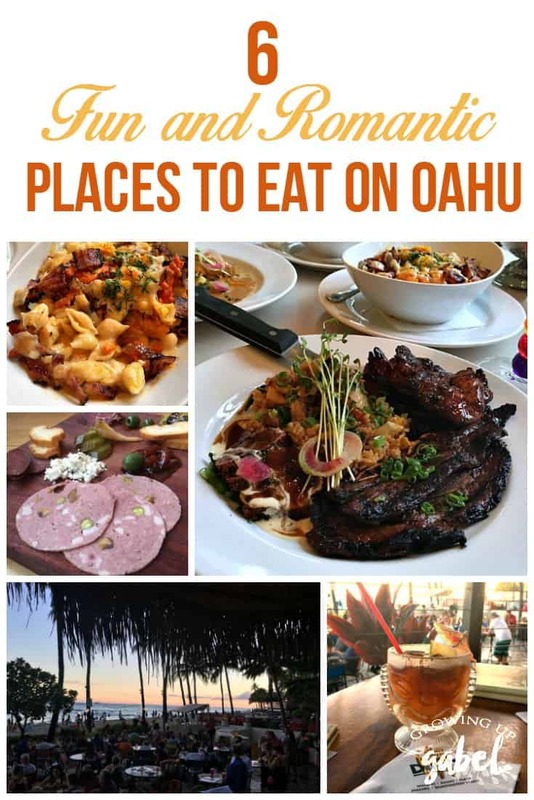 We ate at many other places on Oahu, but these 6 were definitely our favorites!